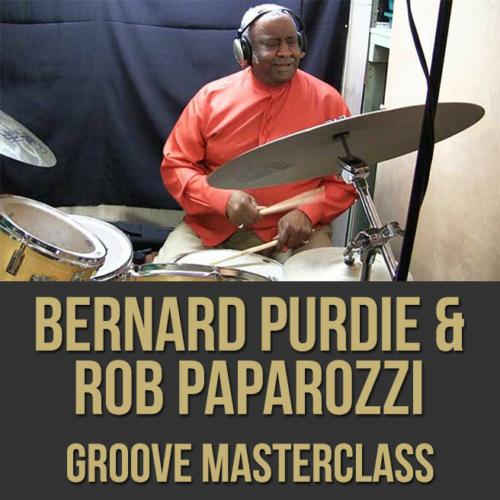 Description: In this epic 72 minute groove masterclass video, legendary drummer Bernard "Pretty" Purdie and frontman/singer/harmonica player Rob Paparozzi discuss groove and feel. 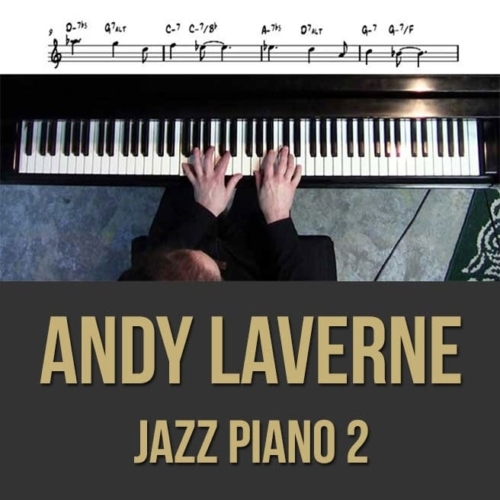 Along with other musical demonstrations in this lesson, Purdie and Paparozzi perform the iconic Steely Dan tunes, "Home at Last" and "Kid Charlemagne". 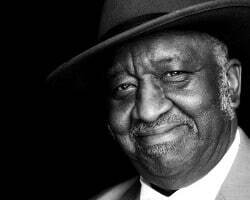 Purdie also talks about Aretha Franklin, King Curtis, James Brown, Steely Dan, other popular drummers, his drumming philosophy, What he looks for in guitarists and bass players, the purdie shuffle, ghost notes, dynamics, time, tuning and more. 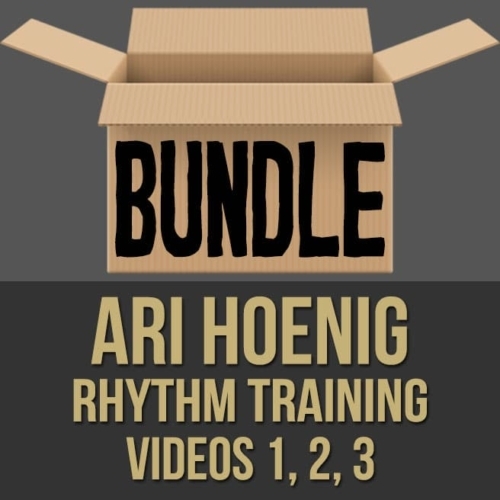 If you're a Purdie fan or if you simply want to deepen your groove, this video contains priceless info from the world's most recorded drummer! 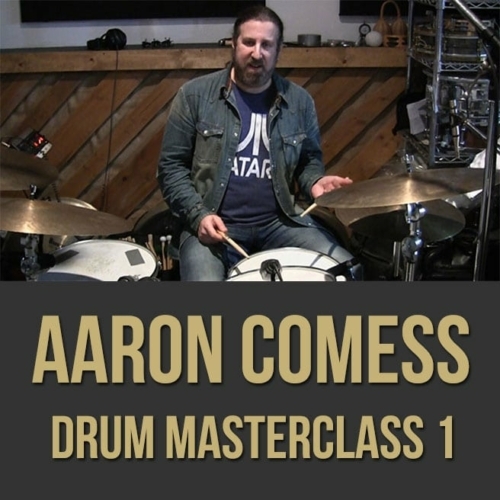 Topics Covered: Steely Dan, “Home at Last”, “Kid Charlemagne”, Time, Feel, Riding the Metronome, Less is More, Dynamics, Rebound, Ghost Notes, Interpreting the Music, The Purdie Shuffle, Fills Philosophy, Setup, Warming Up, Shoes, Aretha Franklin, “Rock Steady” and the Drum Solo, The Locomotion Feel, Billy Butler, What Purdie likes in Guitarists, Hugh C. McCracken, What Purdie likes in Bassists, Rhythm, Purdie’s Thoughts on Other Drummers, Kenny Aronoff, Al Jackson Jr., Zigaboo Modeliste, “The One”, King Curtis, Research and Listening, Leonard Hayward, Internalizing, Eric Gale, Bob Bushnell, His Prettiness, Etc. Purdie moved to New York in 1960 after finishing high school and played with (among others), Lonnie Youngblood before landing his first hit with King Curtis. This led to his engagement with Aretha Franklin in 1970 – the beginning of an unparalleled career. Since then, Purdie has been a regular guest in the studios of the stars of Jazz, Soul, and Rock, working together with Paul Butterfield as well as Larry Coryell, Miles Davis, Hall & Oates, Al Kooper, Herbie Mann, Todd Rundgren and Cat Stevens, as well as regularly producing his own solo albums under his own name. Liner Notes from Purdie “Soul To Jazz.” 3-96. With Brecker Brothers, ACT Music & Vision GMBH. Which musician did Aretha Franklin definitely NOT want missing from the line-up when she recorded her most inspired albums at the beginning of the seventies Who provided the back-beat for Steely Dan’s “Aja”, and for whom have Isaac Hayes, Donny Hathaway, B.B. King, “Sweet” Lou Donaldson, Joe Cocker and Hank Crawford reserved that stool behind the drum kit? The list is incomplete, it must be, because no other drummer in the last three decades has seen the interior of a recording studio as often as Bernard “Pretty” Purdie. The 57 year-old native of Elkton, Maryland has laid down the beat on over 3000 albums to date. This short list does however, prove an idea of the unique qualities this man possesses. Colleagues describe the drummer’s style as the “funkiest soul beat” in the business, and Purdie has decidedly never limited his talents to the realm of jazz but rather has consistently sought out new musical experiences beyond it’s borders. He has anchored sessions with the Rolling Stones, James Brown and Tom Jones with equal ease and proven that – with all his attention to precision playing – terms such as “drive” and “GROOVE” are definitely not missing from his vocabulary. 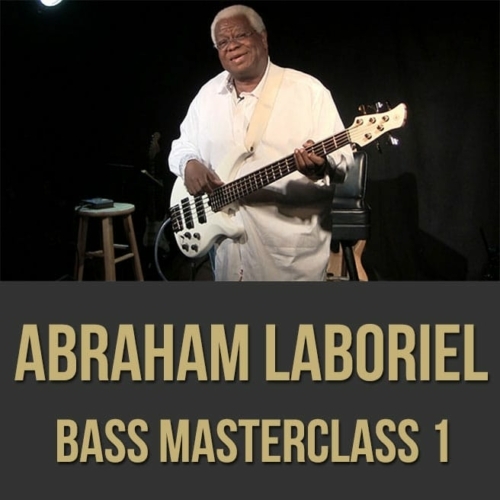 This is certainly why his rhythms have appeared as samples on nearly every “Acid Jazz” record released in the past few years – the new genre that has so successfully hosted the renaissance of Soul Jazz. Furthermore because it is a special pleasure to personally harvest the fruits from trees one has planted oneself – Purdie has now gathered together a flock of like-minded souls and created the new album – “Soul To Jazz”. It will certainly, so much can be sure, stun those who seek to copy his style – if not completely draw their attention. These 13 songs prove that the pioneer of the hybrid of blend of Jazz, Soul and Funky Tunes is still light years ahead of his imitators.